Brad Mason was born in England on July 24, 1973. When only 5 years old, he began trumpet lessons with his father, Barry. At 9, he began piano lessons and played both instruments at school and outside recitals. By 14, he was performing three to four times a week in dance halls, theaters, clubs, and pubs. Though his repertoire included a variety of musical styles, the young musician was drawn early to jazz and improvisation. In 1991, at age 17, Brad won the national Daily Telegraph Young Jazz Soloist Award and was a featured performer at John Dankworth’s Wavendon Jazz School. Later that year, Brad moved to the United States to study, on a full tuition scholarship, at the Berklee College of Music in Massachusetts where he met and studied with Hal Crook and Phil Wilson, among others. He won his second Daily Telegraph Young Jazz Soloist Under 25 Award in 1993, the same year his younger brother, Elliot, won the Under 21 category. 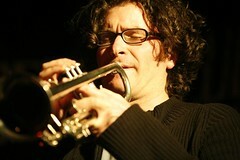 Brad represented Berklee at performances throughout the United States, and in 1995 he traveled to Israel to perform at Dave Liebman’s annual I.A.S.J. conference. He received the Clark Terry Award in recognition of outstanding performance abilities from Berklee College of Music in both 1994 and 1995. It was during these years at Berklee that Brad developed his interest in the electronic valve instrument (EVI) and he soon integrated it into his performances. 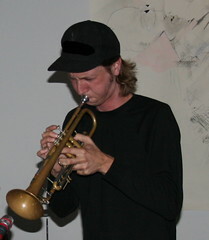 After graduating from Berklee, Brad moved to New York City where he quickly became in demand as a trumpet and EVI player. Mason’s recent career includes performances with Eric Clapton, Jessica Simpson, Alicia Keys, Natalie Cole, Willie Nelson, Mike Stern, John Scofield, Gary Burton, Randy Brecker, Chico O’Farrel’s Latin Jazz Band, the Mingus Big Band, Joe Zawinul, Gary Husband, Lionel Loueke, Antonio Sanchez, Lionel Hampton, Bill Pierce, Hiram Bullock, Claudio Roditi, Dave Liebman, Ronny Jordan, Vincent Herring, Abe Laboriel, and Lenny White. Mason performed at the 31st American Music Awards as a member of the band, Bombsquad, the recipients of the American Music Award for Best Unsigned Band of 2003. In January 2007, Mason joined the John Mayer Band for its 2007 world tour. While working with Mayer, Mason continues to co-lead the Mason Brothers Band with his brother, Elliot. 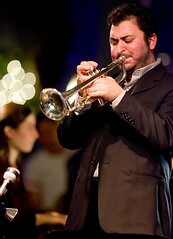 Josh Deutsch is a trumpeter, composer and educator residing in Queens, New York. A native of Seattle, Josh started as a pianist and composer, before finding an affinity for jazz trumpet in the award-winning jazz bands at Washington Middle School and Garfield High School. Josh went on to complete a Bachelor’s Degree in jazz studies at the New England Conservatory of Music in Boston, where he studied with Danilo Pérez, Bob Brookmeyer, John McNeil, Allan Chase and composer Lee Hyla. A three-time participant at the Banff International Jazz Workshop, Josh worked closely with such musicians as Bill Frisell, Dave Douglas and Kenny Werner. In 2006, Josh was awarded a Graduate Teaching Fellowship to the University of Oregon, and earned a Masters of Music in Jazz Performance and Composition in the spring of 2009. Equally comfortable as a leader and sideman, Josh has performed at venues and festivals throughout the United States, Canada, Europe and Japan. 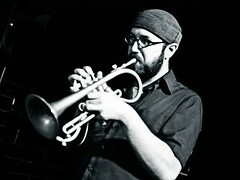 Josh has been a leader or co-leader of the groups Four Across, The Poisonous Birds, the Josh Deutsch/Nico Soffiato Duo and the Josh Deutsch Quintet and Septet. He has performed with such artists as Danilo Perez, the Duke Ellington Big Band, Sofia Rei Koutsovitis, Michael Bates’ Outside Sources, La Excellencia and Ken Peplowski. Josh was a two-time winner of the Reno International Jazz Festival’s Outstanding College Trumpeter award, in 2008 and 2009, as well as Downbeat Magazine’s 2008 Student Music Awards College Jazz Soloist winner. Josh is a composer in multiple genres, and his compositions and arrangements have been performed by artists from the Seattle Symphony Orchestra and Ruth Marshall to the Oregon Jazz Ensemble, Ron Miles and Danilo Pérez. Josh has received commissions from “From the Top” radio show, the Seattle Symphony Orchestra and Music Northwest. Josh is also the composer of “The Ligeti Project”, a twelve movement cross-genre work for jazz septet, based loosely around Györgi Ligeti’s Musica Ricercata, which has been performed on both the East and West Coasts. The anything goes, eclectic mentality of the musical melting pot of Brooklyn, NY is the perfect setting for trumpeter and composer Ben Syversen’s first album as a leader, Cracked Vessel. Making the most of the broad palette available to three musicians, the pieces in this album range from rocking vehicles for free improvisation to ethereal tone poems and long form narratives. The band builds on but quickly departs from ideas pioneered by such creative music luminaries as Tim Berne, Ellery Eskelin, and Jim Black, while drawing in sounds from seminal punk bands such as Black Flag, twisted takes on Americana, and sly, just beneath the surface references to Eastern European folk music. During the nearly 3 years he has lived in Brooklyn, Ben has immersed himself fully in all that the city has to offer. In addition to performing with well established improvising musicians such as bassist Reuben Radding, he has been an active participant in the Balkan music scene, performing regularly with Raya Brass Band, Ansambl Mastika, and more. He has toured throughout the US and Japan, and has performed at the North Sea Jazz Festival in the Netherlands. Toronto’s cutting edge avant-jazz band, LINA ALLEMANO FOUR – known for their inventiveness and synergy – deftly blur the line between composition and improvisation. LINA ALLEMANO was featured as one of DOWNBEAT MAGAZINE’s top innovative trumpeters for the future. The band has toured extensively over the past 5 years, having released two widely acclaimed CDs, and releasing their 3rd album, JARGON (Lumo Records) in October 2010. The album features 7 new original compositions by Lina, showcasing her progressive and unique compositional style combined with her band’s exquisite expressiveness and knack for the unexpected. Recorded live May 29-31, 2010 at Lincoln County Social Club in Toronto. Matt Lavelle made his move on New York City in 1990 and played straight-ahead jazz until 1995, when he relocated to Kingston, NY and immersed himself in the study of the Bass Clarinet. Keeping the trumpet going at the same time, he created the only known successful double of these 2 challenging instruments. Lavelle returned to New York in 1999, seeking out what is known as the Downtown community, and has been an active member to this day. Along the way Lavelle has toured Sardinia, Italy with William Parker, northern Italy with Sabir Mateen, and Scotland with an improvisation collective known as Eye Contact. Lavelle began to study with jazz legend, Ornette Coleman, in 2005. This had a huge impact and transformational impact on him, resulting in the addition of the Alto Clarinet as another voice. Matt also was key in the return and resurgence of jazz legend Giuseppi Logan, playing on and producing his comeback record after a 40-year absence. Lavelle has appeared as a sideman on over 10 recordings, and has released 4 records as a leader. Of special note is the record Spiritual Power, which received international critical acclaim and was rated top 10 by the Village Voice. Lavelle has played and collaborated with Ornette Coleman, Giuseppi Logan, Hildred Humprhries, William Parker, Eric Mingus, Sabir Mateen, Roy Campbell, Daniel Carter, Jemeel Moondoc, Mat Maneri, Ras Moshe, Potato Valdez, and many others. For this FONT event Matt is premiering a long-term idea. The classic quartet format of solo horn, piano, bass and drums altered by using only the Flugelhorn up front. Focusing on what may be his most personal voice, the music will feature original compositions and attempt to explore the musical world right on the center of the bridge between John Coltrane and Ornette Coleman with four original voices. Originally from Colorado, trumpeter Kirk Knuffke has been based in New York City since 2005. Kirk has studied improvisation with great jazz artists Ornette Coleman, Art Lande and Ron Miles. He currently leads his own groups, including the Kirk Knuffke Quartet and trio, with 3 recordings now available as a leader for the Cleanfeed and No Business labels. He and pianist Jesse Stacken also record for Denmark’s renowned Steeplechase label. Knuffke stays very busy as a member of the celebrated Matt Wilson Quartet, touring the US, performing and teaching. Recent trips with Mr. Wilson brought Kirk to play at Jazz at the Lincoln Centers Rose Hall with guest saxophonist Marshall Allen, and the 2010 Newport Jazz Festival. Kirk is also a long time veteran of Butch Morris’ groups, the Andrew D’angelo Big Band, Josh Roseman’s Extended Constellations, The Jeff Davis Band, with Steve Swell in duet and Nation of We, Ideal Bread, Lilse Ellis, and Kenny Wollesen’s Wollesonic, Kirk has also played and or recorded in groups featuring, among others, Graham Haynes, Jim Black, Tim Berne, Eddie Henderson, Daniel Carter, John Zorn, Tony Malaby, Dave Douglas, Briggan Krauss, Bill McHenry, Trevor Dunn, Mark Helias, Angelica Sanchez, Joe Bonner, Ted Nash, and Steven Bernstein, and the Mary Halvorson quintet. In 2009 Kirk received a Jerome Foundation Composers grant though Roulette in New York City; the commissioned works of which were performed by a new trio with Kenny Wollesen and Lisle Ellis. The recording of that concert entitled “Chew you food” is now available on NoBusiness Records. Knuffke has also made appearances in venues outside the traditional New York jazz scene, including work with pop artist Josh Ritter on Sony Records. Internationally, he has played with ensembles at jazz festivals in Saalfeldan Austria, Willisau Switzerland, The North Sea Jazz festival in Holland as well as festival dates in Italy and France. Based in New York for the past decade, Pride is renowned for his ability to excel in a wide range of genres and ensembles. He has worked with everyone from improvised music icon Anthony Braxton to punk legends Millions Of Dead Cops, toured extensively on four continents and appeared on more than 70 recordings. A short list of his collaborators includes Boredoms, Califone, Eugene Chadbourne, Chinese pop-star Priscilla Chan, Nels Cline, Trevor Dunn, Milford Graves, Mary Halvorson, Curtis Hasselbring, Jon Irabagon, Vijay Iyer, Haino Keiji’s Fushitsusha, George Lewis, Bill McHenry, Tony Malaby, Ikue Mori, Butch Morris, Marc Ribot, Matana Roberts, Jamie Saft, Chris Speed, Jason Stein, Otomo Yoshihide and John Zorn. Pride’s versatility doesn’t end with his eclectic résumé as a popular sideman and leader/co-leader of eight active ensembles spanning the worlds of blues, avant-rock and doom metal improv. He is also a busy educator and clinician, a soundtrack composer for TV shows, video games and independent films, and an experienced painter, cartoonist and photographer. Take the F or R trains to 4th Ave & 9th Street. Walk down 4th ave to 7th street. Make a left on 7th and walk past 3rd ave.
Ibeam is located on the ground floor, the grey doors to the right of the stairs of #168. Wednesday, January 13th at 7:30 p.m.
Thursday, Friday and Saturday night events will begin at 5:00 p.m. with a free workshop followed by an early performance in the Blackbox Theatre and headline performances at 7:30 and 9:00 p.m. on the Main Stage. Tickets for the opening night benefit concert are $35, which also includes a membership in FONT Music and admission to the pre-concert reception. Tickets for the other three nights are $15 ($12 for students with ID and FONT Music members) per night. All tickets can be purchased at (212) 352-3101 or https://www.ovationtix.com/trs/pr/702215.